Kym Teusner (above) is a dude, and I like him a great deal. He also makes fantastic wines. Currently, he’s winemaker with Rolf Binder. In the past he has worked with Torbreck. His own venture is a collaborative venture with brother in law Michael Page. 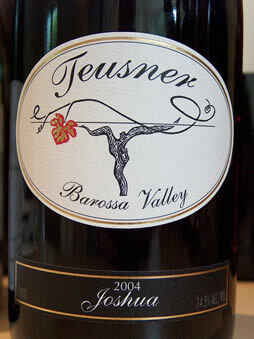 In 2002 there was some old bush vine Grenache in the Ebenezer district, owned by the uncle of Kym’s girlfriend, Vanessa, which was facing the bulldozer. A large wine company were at the time paying A$900/ton for the fruit, so Kym and Michael offered $A2500. This sum was immediately matched by the big company, but Kym and Michael had the grapes. The Teusner label was born. They are now doing three wines, but will expand this to four soon. The packaging is fantastic, and so are the wines. Fantastic nose: rich, spicy and intense with dark chocolate and some animal notes. The palate is rich, full and spicy. 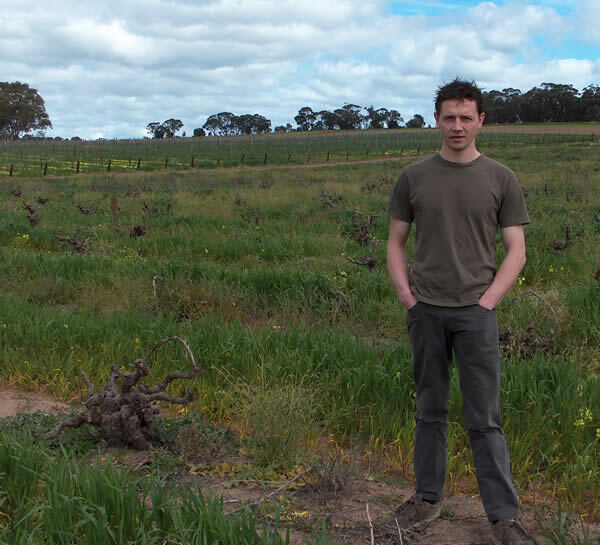 This is from a really old vineyard that had to be cropped as high as 3–4 tons/acre to get balance. Fantastic colour. Explosive nose: gingery, sweet and spicy with opulent fruit. The palate is structured and spicy. Serious Grenache.